Huawei introduced its line of FusionServer Pro intelligent servers running second-generation Intel Xeon Scalable processors and Intel Optane DC-grade persistent memory. Supports 2nd-generation Intel Xeon® Scalable processors, with an up to 40% performance boost over the previous-generation chipset platform. Supports Intel Optane DC Persistent Memory. The 4-socket server supports a memory capacity up to 15 TB, greatly improving memory capacity and data reliability for in-memory computing scenarios. Teridion, a start-up headquartered in San Francisco with offices in Petah Tikva, Israel, closed $9 million in financing, for its cloud-based WAN service. The funding round was led by Jerusalem Venture Partners (JVP) with participation from existing investors Magma Ventures and SingTel Innov8. The company has now raised $35 million to date. Teridion's public WAN service promises carrier grade, SLA-backed performance and reliability with the agility, elastic scale, and global reach of the public cloud. Teridion's cloud-based WAN service is powered by Teridion Curated Routing, a cloud native approach to routing that "draws on the power of deep learning that brings hierarchical and centralized routing to enterprise networking to radically improve WAN, application and SaaS performance. " Viasat began delivering satellite internet to businesses and government agencies across Puerto Rico and the U.S. Virgin Islands through a partnership wtih Expedition Communications, a wholesale satellite internet and telecommunications company. 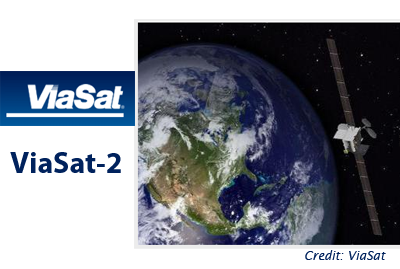 Viasat has satellite internet coverage over Puerto Rico and the U.S. Virgin Islands with its ViaSat-2 satellite. Utility Inc. received AT&T FirstNet Ready certification for their Rocket IoT XLE device. The RocketIoT-XLE is an in-vehicle communication platform that can be used by law enforcement for automated evidence gathering, situational awareness and officer safety and transparency. The unit features a 4G LTE Cat-12 internal cellular modem supporting data speeds up to 600 Mbps. Other device features including dual Wi-Fi hotspots, integrated GPS and customizable vehicle triggers, and a built-in solid-state storage drive for video storage collected from multiple in-car cameras.